Okay, I know how to swim with a wetsuit on, say in the open water. The reason for this is because a wetsuit keeps you afloat in the sea. However, when it comes to a swimming pool I don't have much experience. Every time I go to a swimming pool I always feel really nervous and I freak out when I can't touch the bottom. If I try, I freak out and then paddle frantically to the side where I grab something to hold onto!! I don't know how to tread water so I feel like I'm just going to sink. Also, what do you do when you get tired of treading water? You can't tread forever! Is there anything I can do to improve my confidence in swimming pools? Also, I don't know how to jump in water. I don't like to jump in or dive in. I'm scared of drowning or not being able to get back up again, or breathe when I dive in. Sounds like you are trying to run before you can walk, so to speak! You need to go back to basics and spend some time in the pool learning to appreciate the water and learning how your body behaves in the water. Then you will learn to relax and your confidence will grow. First of all stay within your depth, where you can stand up easily, before you venture out. Spend some time holding the side, taking deep breaths and submerging your face. Breathe out into the water slowly and gradually. 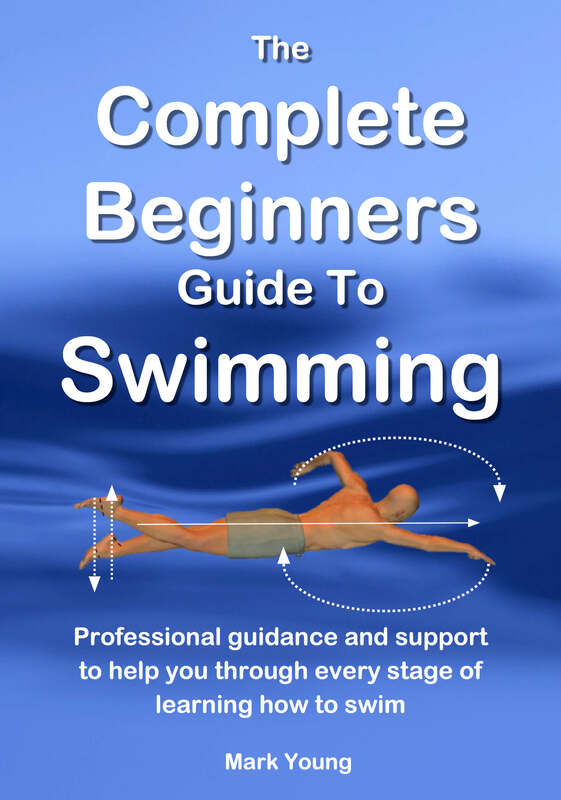 This will teach you how long you can submerge for and how to control your breathing. Wear some swim goggles and this will allow you to see and will give a good perception of where you are and what you are doing. Holding the side during this exercise gives you added security. this test. Swim away from the poolside, within your depth, turn around and swim back to the poolside. If you can swim to the center of the pool, turn around and swim back, then you can swim in any depth of water knowing that you can swim to the poolside no matter where you are. Psychologically it is not as easy as that to start with but if you use this exercise to build your confidence then eventually the depth of the water becomes largely irrelevant. As for diving and jumping in, start by sitting right on the edge of the poolside, legs in the water. Form a diving position with your arms and hands together out in front of you and gently push off across the surface of the water. Gradually as you become more confident with this entry, try starting from kneeling on one knee and then progress to standing, but with knees bent. If you practice the breathing exercises above you can then experiment with the depth that you can dive or jump to. Practice and experiment with the above three exercises and try them in both shallow and deep water (although not diving deep in shallow water please!). If at any point you feel uncomfortable or freak out in anyway, go back to standing in your depth and venture out again when you feel ready. The more time you spend in a swimming pool, experimenting and trying stuff out, then the more the basic stuff becomes second nature, and if you have got your friends or family with you then you have nothing to worry about.